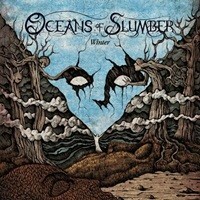 Already making a huge impression on this scribe with their second album Winter a couple of years back, Texas act Oceans of Slumber embody the multi-faceted outlook to progressive metal in the modern era. Willing to shape their sound through atmospheric twists or genre-bending movements, they paint an aural picture that can be difficult to pigeonhole – yet the results are breathtaking as the listener experiences a dynamic and rich takeaway through every successive playback. The Banished Heart as the quintet’s third full-length showcases a band confident in where they want to take their music, hoping to establish their own style that can be serene and melodic, aggressive and heavy, intricate while thoughtful – spanning a short to epic nature over the course of eleven tracks and 67 minutes of music. Lumbering, doom riffs appear in circular motion against Dobber Beverly’s thunderous drum drive right away on opener “The Decay of Disregard” – which also features atmospheric bird calls, a haunting piano-driven beginning, and swirling keyboard effects to keep the movement liberating and free. Cascading clean passages quickly succumb to heavier, electric driven moments during “At Dawn” – all the while allowing vocalist Cammie Gilbert ultimate freedom to channel her gothic, alternative, and soulful charm as a bright beacon in the metal landscape against the male growls and aggressive blasting death transition through furious tremolo picking maneuvers. It means one moment you could be hearing Candlemass-like riffing against Morbid Angel-esque drumming, all the while The Gathering-esque vocals fly above in the clouds – and the next song Evergrey could careen headlong into Anathema or Opeth against a Rush-like guitar motion (the latter prevalent in personal favorite “Etiolation”). Smartly setting up brief reprieves or interludes throughout the record such as “The Watcher” (synthwave-oriented) or “Her in the Distance” (a soothing classical-driven piano piece) gives The Banished Heart it’s dynamic contrast necessary for the listeners to absorb the individual songs and information contained within each track. 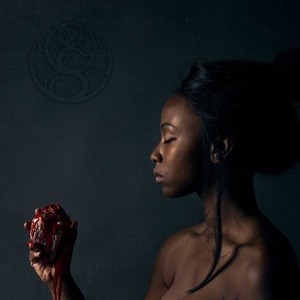 You normally worry when three of the first four cuts pass the eight-minute mark, but in the case of Oceans of Slumber, never fear – the versatility and attention to detail ensures that amidst all the parts, there is a melodic undercurrent on both the music and vocal aspects to keep the body and brain alert and in the game. If this is ‘only a map and they have a long way to go’ according to their Facebook page regarding the discography of Oceans of Slumber, we are in for a long, fruitful output for a band ready to ascend to the top of the progressive metal landscape.